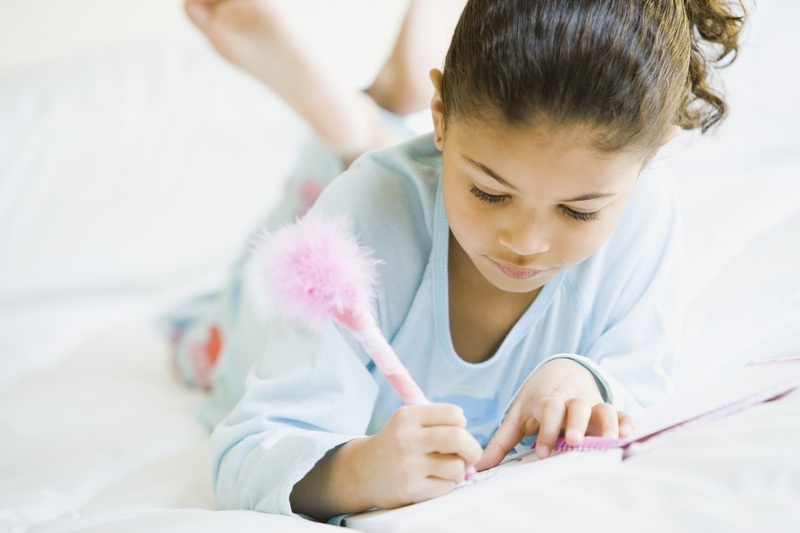 Journal writing can help your children process feelings, build writing skills, and communicate their ideas. Journaing encourages your child to grow while discovering open-ended writing. Instead of writing one assignment and being done, journal writing allows your child to write daily (or more!). Not only can it be enjoyable and reflective, journaling also has multiple benefits related to literacy and social growth. Plus, you might just spark a fire in your budding writer! Here are three great benefits of journaling, including tips for your child's further development. Remember that journal you had when you were a tween? The padded one with a kitten on the front that came with a lock? It also had a special key that you hid under your mattress. The tween years can be filled with lots of emotions and new experiences. A private journal can be a safe place to record those new and brewing feelings. Many kids feel better when they can express their ideas and thoughts in a safe non-judgmental place. A private journal can help your child process her feelings. Tip: Let your child pick out her very own journal. Plan a special outing to a bookstore that carries journals. Have your child select a journal that feels special to her. Explain that it will be a place for her to record her thoughts and also keep them private. Journaling builds writing skills. Just like basketball players, painters, and guitarists, the more we practice the better we get. Spelling, sentence structure, vocabulary, and grammar can all be enhanced through a regular writing habit. Writing in journals allows your child to feel in control of the content he chooses to write about and the length of his writing pieces. This control and choice make writing more appealing to your child. Tip: A curiosity journal is an interesting place for kids to record their observations and wonderings. The journal can be a simple notebook or a journal with blank pages. You child can keep his journal with him when setting out on an adventure — whether it's the backyard or a trip to a museum. Have your child jot down things that interest him, or questions he has about his experiences. He can also fill the journal with drawings and sketches. Encourage him to label his drawings too. Journaling helps communicate ideas through writing. Sometimes kids find it easier to express themselves through writing versus oral communication. 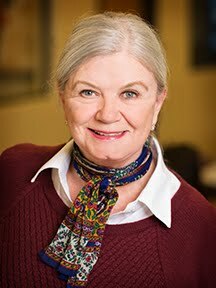 And, developing written communication skills will be an asset as your child moves forward. Children have to draw from their vocabulary bank to select precise words to communicate their thinking. Plus, they practice handwriting skills. Begin by jotting a note to your child and ask her a question. These can be as simple as, “What do you want to do tomorrow?” or more personal such as, “When was a time you felt scared?” Then allow her to respond in writing. She can respond to your question, share her thoughts, or ask you a question. Have her leave the journal on the counter and tell her you'll respond the next day. Journaling is full of academic and emotional growth opportunities for your children. So, grab a journal and introduce them to this new tool. Soon enough, they'll be writing volumes! Lesson by Brandon Rodriguez, animation by CUB Animation. Education expert Ann Dolin discusses how to prevent students from losing their reading and writing skills during Summer break. 5 Read-Aloud Tips Inspired by "Where the Wild Things Are"
Make story time even more fun with these creative ideas inspired by Maurice Sendak’s classic title. Maurice Sendak’s Where the Wild Things Are is a celebration of childhood, the wonder of imagination, and unfaltering parental love. And while children the world over connect with this story of a rebellious child feeling more than a little wild, I think it includes wonderful lessons for parents too. Some of them might make story time at your house (and mine) more fun than a wild rumpus! 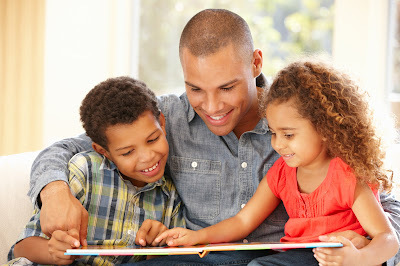 When you read with enjoyment your child learns that reading is fun and pleasurable. This helps your child develop positive associations with a book, and a greater connection with you. A book like Where the Wild Things Are is easy to read with enjoyment thanks to both its relatable topic and simple prose. However, keeping the enjoyment alive in your voice can be tricky when you are reading it (or any other favorite book) for the 447th time! It’s good to know then that re-reading a book is valuable — it boosts vocabulary development, phonemic awareness, and story comprehension. Creating a sense of drama as you read together helps your child associate books and reading with pleasure and good, old-fashioned fun. Books provide easy openings for talking to your child about emotions and feelings in various contexts, helping your child in developing emotional intelligence. Explore the emotions of Where the Wild Things Are together by making the faces you would make if you felt like Max — mad, out of control, lonely, loved or relieved. Or, ask your child when was the last time he felt each of the emotions from the story. How do you think Max feels when his mother sends him to his room? Do you think a forest really grew in Max’s room? If not, what do you think really happened? Max wanted to be where “someone loved him best of all." Why is it important to feel loved "best of all"? Do you think the Wild Things are real? What's the difference between things that are real and things you dream about or imagine? What sort of things do you dream about? What do you think was the most exciting part of the story? Re-reading the story and, as you read, taking turns to act out the parts of Max and a Wild Thing. Creating a Wild Thing mask from a paper plate and scraps of paper or fabric. Making crowns and hosting your very own wild rumpus by dancing together to your favorite music. Making a Max and some Wild Things figurines by decorating toilet rolls and taking turns re-telling the story. The great thing about all these tips is that they will work just as well for almost any picture book you choose for your child's read aloud time. Choose one, two, or try all five, and add some fun, book-inspired learning to your next story time. It might sound like science fiction, but if you press on a crystal of sugar, it will actually generate its own electricity. This simple crystal can act like a tiny power source because sugar happens to be piezoelectric. Ashwini Bharathula explains how piezoelectric materials turn mechanical stress, like pressure, sound waves and other vibrations into electricity, and vice versa. Lesson by Ashwini Bharathula, animation by Karrot Animation. 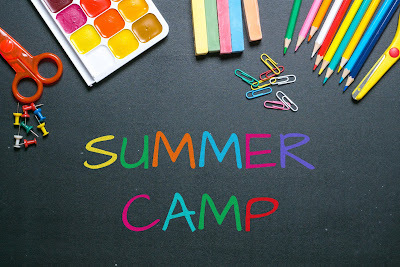 Our Second Session of Summer Camp Begins July 10 - Register Today!